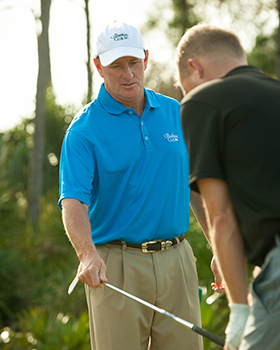 Through the years, David has honed his coaching skills to focus on what each golfer needs. 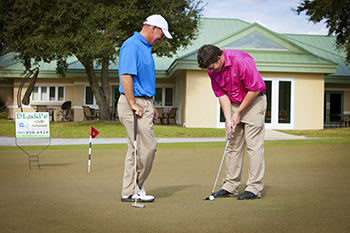 He will develop a customized practice routine that will optimize your golf game and lower your score. David utilizes state of the art video software which helps students improve all aspects of their golf game and can even accelerate the pace of learning. David teaches at Champions Club in Stuart, Florida. This Tom Fazio designed course was named Best New Public Course by Golf Digest and Top 10 Public Courses to Play. Visit www.thechampionsgolfclub.com to view the facilities. If your game needs a little touching up, a 1/2 day workshop at The Champions Club might be for you. 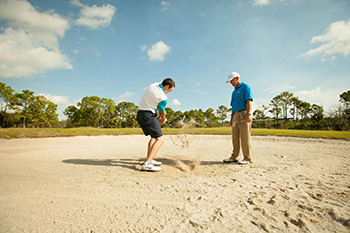 Spend the day with a personal instructor from The Champions Club. Three hours of instruction, lunch and a 9-hole playing lesson is a fantastic way to spend the day working on your game. With information on course management and strategy on scoring, your game will never be the same. Limit 3 People per Private School round.